Ryanair blamed lower fares and increased competition for its first Q3 loss since 2010 but says forward bookings for the fourth quarter and full year are running “significantly” ahead of last year after recent increases in marketing spend. Ryanairs TV campaign details the service enhancements it has made to woo disgruntled customers that have switched to rivals. The airline made a loss after tax of €35.2m for the three months to the end of December, compared to a profit of €18.1m in the same period a year ago. Revenues were flat at €964m. Ryanair said passenger numbers were up 6 per cent year on year but seat promotions caused average fares to drop 9 per cent compared to a year ago. “Ancillary” revenues, which includes bag fees, priority boarding and credit card fees, were up 13 per cent. 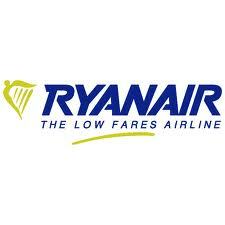 via Ryanair credits marketing investment for boost to passenger numbers | News | Marketing Week. This entry was posted in Airline Marketing, CMOs in Travel, Commercial Airlines, Travel marketing by Jemma Neethling. Bookmark the permalink.